On April 3, 1971, the left upright collapsed on the football goalposts in Mönchengladbach's legendary Bökelberg stadium, just as Borussia's striker, Herbert Laumen, ran into the opponent's goal after a furious scoring attempt. For the sports equipment manufacturer helo sports in Hildesheim, it was the dawning of a new era, because from that point on, no team in the Bundesliga wanted to have wooden goalposts ever again. Since that time, the company's founder Helmuth Löhr (the company is based on the first letters of his name) has been producing goalposts made of aluminum, which are considerably sturdier and safer than their wooden precursors. 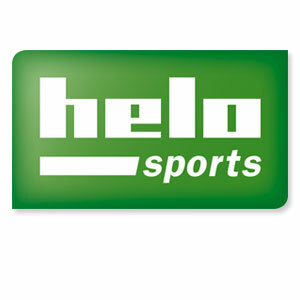 Today, helo sports is one of Europe's leading sports equipment manufacturers, producing not only football goalposts but also 750 different sports items for a variety of other ball sports as well as track and field.